We are excited to again present the Christmas comedy classic Christmas Vacation on Saturday, December 15, 2018. Tickets are $8 and can be purchased online in advance by CLICKING HERE or, if available, the night of the show at the doors. Show time is 7 p.m. and the Astra’s doors will open at 6:15 p.m. We would definitely recommend purchasing in advance, however, as the last time we showed it, it sold out! 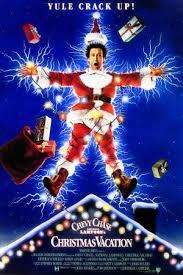 First released in 1989, Christmas Vacation has become a Christmas classic and a December staple. It stars Chevy Chase, Beverly D’Angelo, and Randy Quaid, and follows the Griswold family as it orchestrates a big family Christmas which, predictably, turns into a big disaster. For additional information or for assistance with ticketing, please visit www.TheNextAct.org, phone 812-566-1935, or email info@thenextact.org. Tickets for upcoming Astra Theatre events are still available for Elf on December 1, nineties rockers The Why Store with special guests Breathing Rm on December 8, and for the final (and FREE) Will Read and Sing for Food event (titled “The Last Chicken Dance”) on December 21. All tickets for Next Act, Inc., events at the Astra Theatre can be purchased directly at www.AstraTheatre.eventbrite.com.